Shock! Horror! Bandwidth! 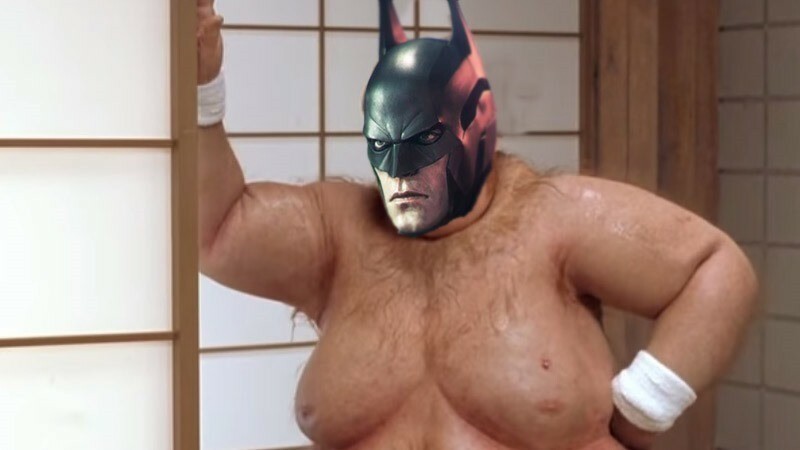 Batman: Arkham Knight is a big game! In non April Fool’s news of a most shocking nature, new details have slipped out that reveal the upcoming Batman: Arkham Knight to be a game that is bigger than an entire book of yo mama jokes. We do advise any readers with sensitive constitutions or sissy-boy tolerance levels for high bandwidth downloads, to not read further. If you don’t want to be cool that is. CHICKEN! Holeee crap. 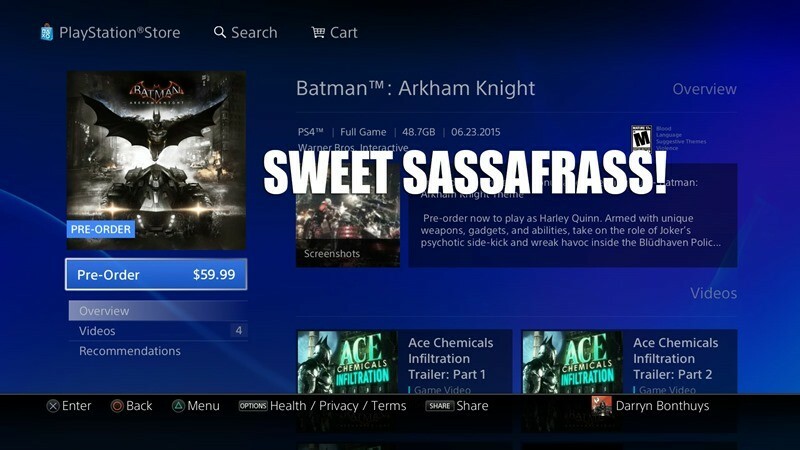 Arkham Knight isn’t the only game guilty of this however. The Last Of Us, GTA V Definitive Edition and The Order have all boasted download sizes in the dozens of gigabytes range, as if high-resolution textures, new graphical engines and crisper audio were some sort of reason for the bigger games. Shocking stuff, I know. That’s a pretty big game then, no joke. As for the Xbox One version, we’re making an uneducated guess that you’ll have to duct-tape two of those console together in order to have enough hard drive space available.